Shred your old personal documents can be very beneficial in keeping your identity safe. For small businesses, it is a matter of compliance with Massachusetts Privacy Law and HIPAA. But when it comes to shredding a massive amount of documents, personal shredders are proven to be a true waste of time. They often overheat, jams and they make unbearable noise for any office or residential environment. 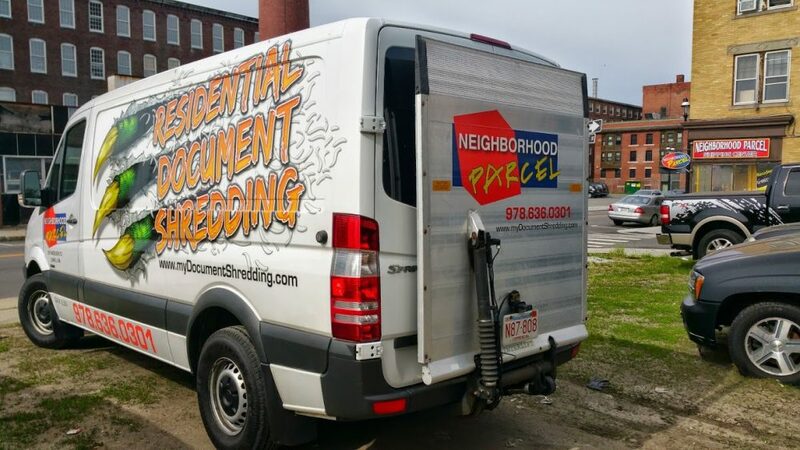 When it comes to Residential shredding service, Neighborhood Parcel of Boston MA have been serving area residents for over a decade and have perfected their shredding plans to fit any budget. With shredding rates from 89¢ /Lbs, no minimums, no contracts, and no hidden fees, Bostonians took notice and flocked to this location to drop-off their material for secure shredding. Document shredding service prevents your old personal documents from falling into the wrong hands. Your office paper shredder will often break, overheats and often cumbersome to use, and don’t thoroughly destroy documents. Our Residential shredding service eliminates the time, hassle and risk of shredding documents using your small paper shredder. We come to your home as often as you like for secure off-site document destruction. Give us the documents you wish to destroy and we will do the rest. We will haul your material in our locked bins and shred at our secure facility near Boston MA. For your convenience, there’s no need to remove the staples, paper clips, rubber bands and sticky notes from your files. Our industrial shredders even destroy non-paper items. 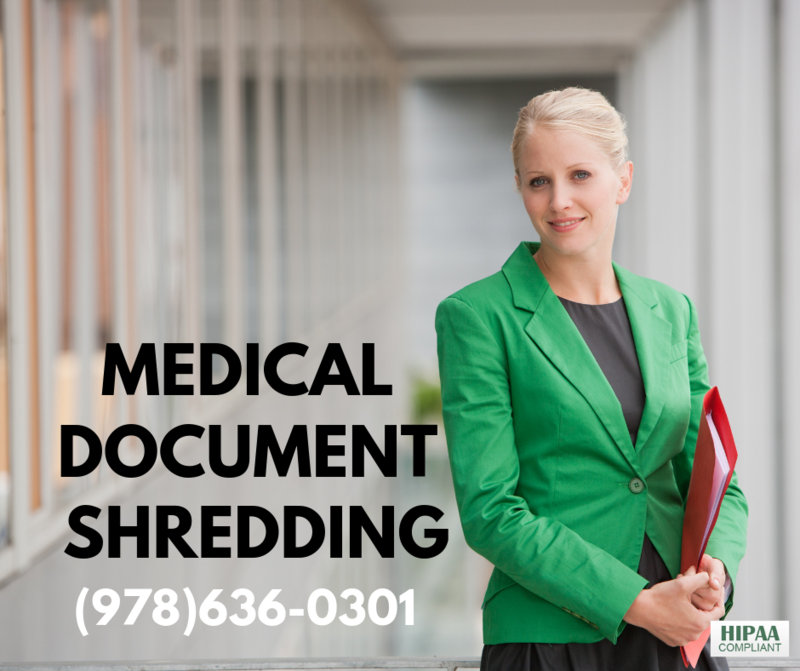 Your material will be shredded in accordance with the latest HIPAA and State Privacy Laws. As a result, your sensitive information is completely and irrevocably destroyed. After the job completion, we will email you a Certificate of Destruction stating you have disposed of your documents in a responsible and secure manner. I purged my documents last year using this service, they were always on time. The driver is always friendly and willing to help. My documents were handled properly and my shredding certificate arrived on time and as promised. This year I am hiring them again to shred my wife’s old medical files and I am happy to recommend this local company.